Richard Lilford is Professor of Public Health at the University of Warwick and holds the positions of Pro-Dean for Research, Director for Warwick Centre for Applied Health Research and Delivery (W-CAHRD) and Director of the National Institute for Health Research (NIHR) Collaboration for Leadership in Applied Health Research and Care (CLAHRC) West Midlands. 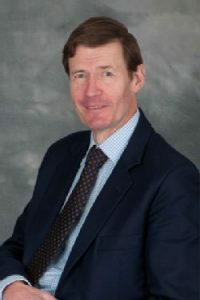 Richard has pursued a successful career in medicine for over 40 years, specialising in obstetrics and gynaecology and, more recently, health service research. He has research methodological expertise in the evaluation of complex interventions, and prospective health economic evaluations of service delivery interventions. He has designed a framework for the evaluation of complex interventions that draws a crucial distinction between targeted and generic service interventions and is also interested in Bayesian statistics, medical ethics, clinical trials, step-wedge cluster trials, and multiple-indication reviews. He has recently diversified into global health, with ground-breaking articles on health in slums, followed by the award of an NIHR Unit grant. He has published over 300 original research papers and is an investigator on over £35 million worth of government, industry and charity sponsored research grants.